Established in San Jose, California in 1992, Alpine Electronics is North America’s oldest and largest independent stocking distributor of LEMO® connectors and related REDEL® connectors. Many Alpine staff members have been working with LEMO interconnect products since the late 1970s. As members of the LEMO manufacturer’s representative network, the Alpine team have received extensive product training and have the knowledge and expertise to ensure that their customers receive the best product for the application at hand. 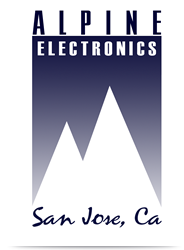 By specializing in LEMO products, Alpine Electronics can concentrate company resources to better serve their customers. With over 75,000 connector combinations available, LEMO has the largest line of push-pull, self-attaching connectors of any manufacturer in the world. LEMO interconnect products are known for their quality, precision, and ease of use. For more information on Alpine Electronics and their extensive inventory of LEMO products, visit www.alpine-electronics.com.